Those of you who follow Five Directions Press’s monthly Books We Loved posts—and if you are an avid reader, you really should, if you don’t already (you can find them all on our newsletter page)—may have noticed that my picks for January included both Bernard Cornwell’s Fools and Mortals and Mimi Matthews’ The Lost Letter. You can find my Q&A with Bernard in a post a couple of weeks ago, and today I’m hosting a written interview with Mimi. Very different subjects, very different styles, but great writing is great writing. So if you have even a little bit of fondness in your heart for a touching love story set in Victorian times and with fully rounded characters, do check out Mimi Matthews’ novels (and nonfiction). Scroll down and you’ll find links to her website and social media accounts, where you can get more information. And if it needs to be fast-paced thriller to keep your attention—although still with great writing and complex, compelling characters—then the links in the Bernard Cornwell interview will show you where to learn more about those. You have a great interest in Victorian times, as evidenced by your nonfiction book The Pug That Bit Napoleon, among other works. Where did that interest originate, and which came first—the fascination with the Victorian period or the interest in writing fiction? My interest in writing fiction definitely came first. I wrote my first full-length book (a YA novel) when I was thirteen and signed with my first literary agent when I was eighteen. After that, I was preoccupied with college, law school, and work and didn’t write any fiction until a few years ago, when I got the idea for a romance novel. I wrote it in a few months and then signed with a new literary agent. While it was out on submission, I wrote three more romance novels, including The Lost Letter and The Viscount and the Vicar's Daughter. As for the Victorian era, I’ve always been a fan. I read a lot of Charles Dickens and the Brontë sisters growing up and, in my third year of law school, I did a huge research paper on the British Court of Chancery. Since then, I’ve researched and written extensively on the Victorian era for my own website, as well as for other publications. In September 2016, I signed a multi-book deal with Pen and Sword Books (UK). 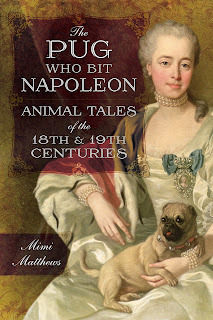 My first nonfiction book with them, The Pug Who Bit Napoleon, came out in December. My next one, A Victorian Lady's Guide to Fashion and Beauty, will be out in July 2018. 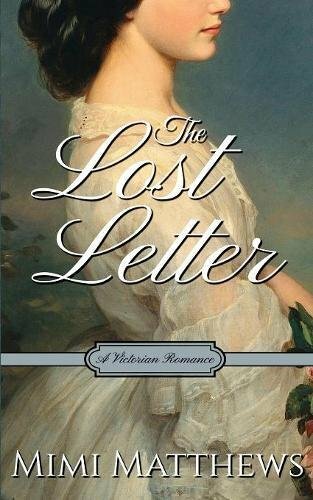 Tell us about Sylvia Stafford, the heroine of The Lost Letter. Where is she, literally and emotionally, at the start of the book? At the beginning of the novel, Sylvia is employed as a governess in a merchant's household in Cheapside. It’s a far cry from the life she led as the privileged daughter of a wealthy baronet. But Sylvia is an intelligent, pragmatic sort of woman and has—for the most part—come to terms with her altered status in society. She’s even managed to find a measure of happiness in her work. Or so she believes. As the story progresses, it becomes clear that much of her heartache and disappointment is still unresolved. This is especially evident when she once again crosses paths with Sebastian. And what of Sebastian Conrad, earl of Radcliffe? They have something of a past, but their reunion takes place under very different circumstances, for him as well as for her. Unlike Sylvia, Sebastian is not coping very well with his change in circumstance. The disfiguring injuries he suffered as a soldier in India both depress his spirits and cause him physical pain. He’s bitter and angry, raging at himself and everyone around him. When Sylvia makes an unexpected appearance at his country estate, he is anything but pleased. He had loved her once, and the sting of her rejection still rankles. Nevertheless, he makes an effort to see her and speak to her, even if only to show her how little he cares. 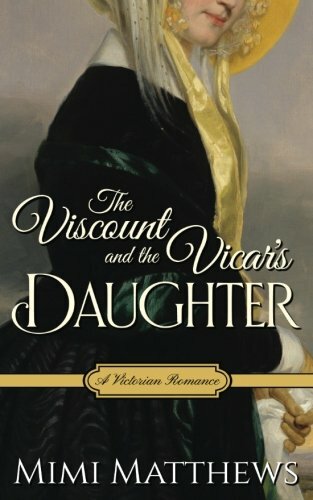 Your second novel, The Viscount and the Vicar's Daughter, came out this week. What can you tell readers about that book? After reading The Lost Letter, you may have guessed how much I enjoy playing with classic romance tropes. The Viscount and the Vicar’s Daughter is my go at the “reformed rake” trope. It features a disillusioned libertine with a scandalous past and an earnest vicar’s daughter with a few secrets of her own. It’s not as tortured a love story as The Lost Letter. I’d classify it more as a mid-Victorian romp. So far, advance reviews have been great. I’m really hoping readers will love it, too. In the back of The Viscount and the Vicar’s Daughter, there is an excerpt from a third novel, The Advertisement (which I for one can’t wait to read, because the setup is great), due out this summer. Is that book already done? And if so, what are you working on now? I’m so glad you enjoyed the excerpt! The Advertisement is almost done. It’s due to my editor at the end of March. It’s much longer than my previous two Victorian romances and the subject matter is a bit heavier as well. It focuses on two real—and very grim—events from the late 1850s. As for the central romance, it’s poignant, passionate, and exceedingly angst-ridden. So far, reports from my beta readers have been really positive. We’ll see what my editor thinks! Next, I’m working on a Victorian Christmas novella about a broken betrothal and (possible) breach of contract suit. It will be out in November 2018. Thanks so much for answering my questions, Mimi. I wish you all success with both your novels and your nonfiction works! Mimi Matthews writes both historical nonfiction and traditional historical romances set in Victorian England. Her articles on nineteenth-century history have been published on various academic and history sites, including the Victorian Web and the Journal of Victorian Culture, and are syndicated weekly at BUST Magazine. 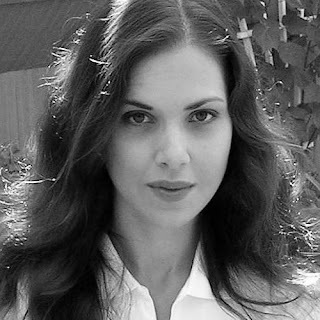 In her other life, Mimi is an attorney with both a Juris Doctor and a Bachelor of Arts in English Literature. She resides in California with her family, which includes an Andalusian dressage horse, two Shelties, and two Siamese cats. Find out more about Mimi at the links below.